Mark earth day with your fellow Cambridge residents this year with a cleanup at Jerry’s Pond in Cambridge. Categories: Cambridge, Massachusetts | Permalink. The Cambridge Wildlife Puppetry Project (CWPP) began distributing two new local wildlife cards at the Honk! Parade on October 8, 2017. Raúl Gonzalez III drew urban raccoons for one of the new cards. Known as Raúl the Third, Gonzalez is the Pura Belpre award-winning illustrator of Lowriders to the Center of the Earth and Lowriders in Space. The Red-winged Blackbird and Raccoon trading cards issued by the Cambridge Wildlife Puppetry Project in October 2017 both feature photographs by longtime photographer of Fresh Pond scenes and wildlife Richard Lee Gardner. Photograph Copyright Richard Lee Gardner. Organizers say the Cambridge Wildlife trading card series is intended to be a child-friendly form of informal biodiversity education. At the 2016 Honk! Parade, the community organization launched the series by distributing free Great Blue Heron and Wandering Glider dragonfly trading cards. The CWPP, an unincorporated nonprofit community association, also unveiled a new giant backpack puppet depicting a Northern Cardinal as it marched in the parade. Children at two community workshops created the cardboard feathers for the puppet. The Beautiful Stuff Project‘s resident artist, James Holton Fox, created the bird’s head and put the puppet components together. High school student volunteer puppeteers roamed Harvard Square on October 9 distributing the cards. One depicts a pair of foraging raccoons, one peering out from inside a garbage can. as well as cards featuring another local species, the Red-winged Blackbird. The blackbird card features an illustration by local independent “not-at-home”-schooler Amireh Rezaei-Kamalabad. Cambridge Wildlife, the Honk! marching group associated with Cambridge Wildlife Puppetry Project, participated for its fifth year in the parade from Davis Square, Somerville, to Harvard Square on October 8th. The small but multigenerational group featured an owl stick puppet, original made by a father-son duo at Cambridge’s Center for Families at a CWPP workshop in 2015 led by Sarah Peattie, of the Puppeteer’s Cooperative. The owl was renovated this year by volunteer high school artist Miriam Álvarez-Rosenbloom. In 2016–17, the Cambridge Arts Council awarded the CWPP funding from the Massachusetts Cultural Council Local Cultural Council grant program for the second time, enabling the production of trading cards as well as other activities. Click here to sign up for updates from the Cambridge Wildlife Puppetry Project. Categories: Cambridge, Massachusetts, Children, Wildlife | Permalink. In case you missed it…eclipse-viewing in Cambridge this summer was often a group event, especially at large open spaces. Here’s a glimpse of the viewing at Magazine Beach Park. Many gathered there to watch the partial eclipse of the sun today between 1:28 & 3:59pm. —Cambridge, Mass., Tuesday, August 8, 2017. The Cambridge Fly, Buzz, and Honk! Festival welcomes city residents, especially the smaller variety, for two more days on Wednesday, August 9, and Thursday, August 10, 2017. Wednesday’s lineup includes Navigation Games’ animal homes scavenger hunt at 10:00 a.m. and Puppet Showplace Theater‘s beloved outgoing artist-in-residence Brad Shur. Shur will perform “Cardboard Explosion!” inviting children to tweak the plot while the performance is underway. Prior to becoming the Resident Artist at Puppet Showplace, Brad Shur toured the country as a performer with Big Nazo (Rhode Island), Wood & Strings Theatre (Tennessee) and The PuppeTree (Vermont). Created with elementary school children in mind, the 2017 Fly, Buzz, and Honk! festival began Monday, August 7th with a focus on a single species of bird that calls Cambridge home. A familiar sight in wetland areas, including along the banks of the Charles River, the Red-Winged Blackbird uses cattails for nesting and shelter during its summer visits to the city. Approximately one hundred children visited “The Mighty Red-winged Blackbird” event on Monday, creating wings and masks representing the bird, and some worked on models of nests hidden in the cattails. Overcast skies thinned attendance at the festival on Tuesday. Beekeeper Mel Gadd, who tends bees at Drumlin Farm and Cambridge Friends School, brought a demonstration hive. The Cambridge Wildlife Puppetry Project and DHSP community school staff and MSYEP interns guided children in making finger puppets of some unfamiliar and unexpected pollinators—pollinating moths called clearwings, and green metallic bees belonging to the halictid family. On Thursday, the festival culminates with activities for children related to animal sound and motion, including the Fly, Buzz, Honk, and Squeak! mini-parade around the perimeter of Riverside Press Park. Members of the School of Honk (in photo) will lead the parade, which begins at 11:00 a.m. Fly, Buzz, and Honk! is a collaboration of the Cambridge Wildlife Puppetry Project (CWPP), a nonprofit organization dedicated to connecting city residents with wildlife and local habitats through the arts, and the Martin Luther King Jr. Community School, a division of the Cambridge Department of Human Service Programs. The festival launched in 2016 as the Fly, Buzz & Honk Expo at Maynard Ecology Center, In 2017, the CWPP moved the event to Riverside. The project is supported this year by a grant from the Cambridge Arts Council and Massachusetts Cultural Council. Categories: Cambridge, Massachusetts, Wildlife | Permalink. Image © Bimal Nepal, BimalPhoto.com. Several animal celebrities of the Cambridge Wildlife Puppetry Project (CWPP), whose activities are supported by the Cambridge Arts Council and the Massachusetts Cultural Council this year, visited picnicking families and others at Magazine Beach Park Friday for a Walk/Ride Day celebration. Stay tuned for the CWPP’s four-day Fly, Buzz, and Honk! wildlife festival, August 7–10, 2017, every day from 10:00 to 12:00 in Riverside Press Park. Art and games and performances at the festival highlight the species that live in our city. Categories: Cambridge, Massachusetts, Children | Tags: Cambridge MA, Cambridge Wildlife Puppetry Project, ecology, enviroed, Magazine Beach, Puppetry, urban wildlife | Permalink. 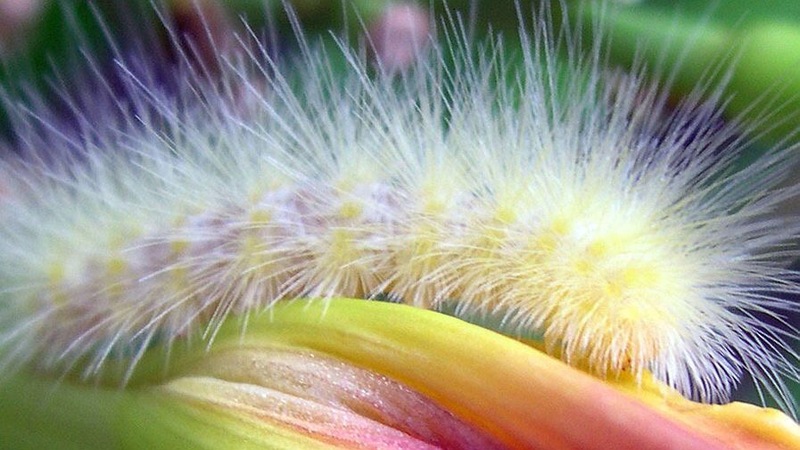 For our last National Moth Week species, we present the Virginian Tiger Moth in its caterpillar stage. It’s one of many moths that we have in the city of Cambridge. Now that National Moth Week is ending, we’ll be considering with a little more awareness the role of moths as prey and as pollinators in our urban ecosystem, and their contributions to biodiversity. Common Looper Moth (Autographa precationis), photographed in Cambridge. Copyright (c) by Mark Rosenstein. We continue our celebration of National Moth Week. All the images we’ve posted this week are of moths that live in Cambridge, and today’s Common Looper Moth is no exception. Through Sunday, July 30th, you can see beautiful moths from near and far by searching the hashtag #nationalmothweek on Instagram and elsewhere—or better yet, by heading outdoors. Categories: Cambridge, Massachusetts, moth | Tags: #nationalmothweek, arthropods, Cambridge MA, lepidoptera, moths, urban wildlife | Permalink.